Apple charges $749 for an iPhone 6S with 64GB of storage. But how much does it actually cost Apple to build the phone? 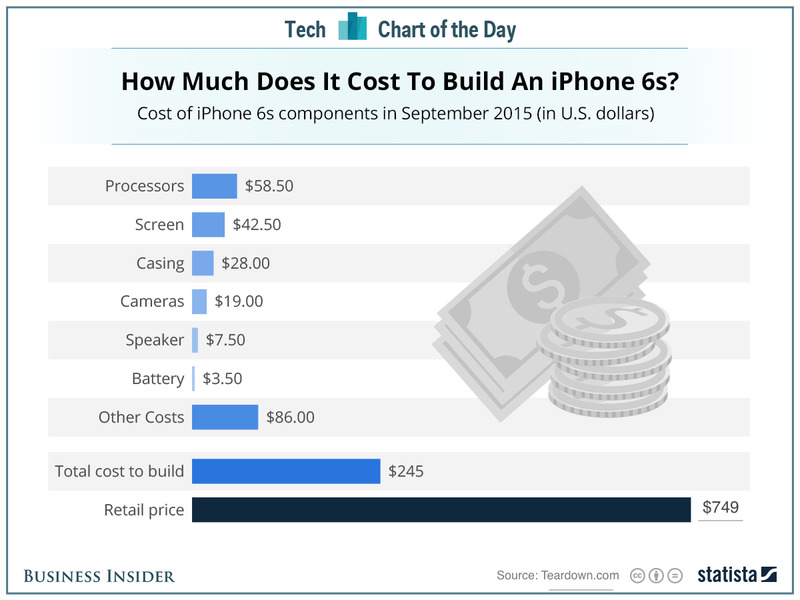 Teardown.com ripped apart a new iPhone to figure out exactly what's inside, and found that the total cost of components is $245, as charted here for us by Statista. The most expensive bits are the processors, followed by the touch screen. This does not mean Apple is making $499 in profit on each phone, though, as it doesn't include costs like manufacturing and shipping. We understand that--but it is so eye opening to see this in reality as Apple continues to break records. It was also of interest to note that Apple's iPhone 6s is also almost waterproof!!! 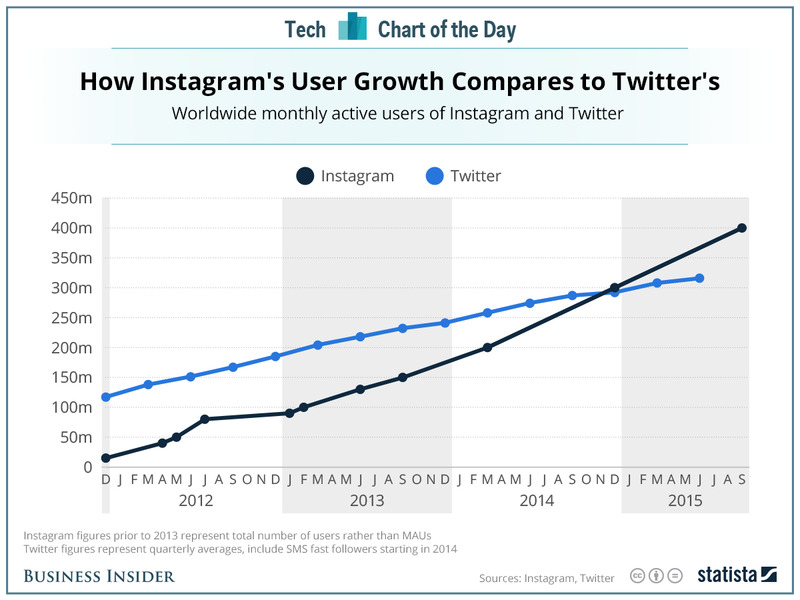 It will be interesting to see how the apparent CEO-Designate for Twitter, Jack Dorsey, will work to address this very challenging trend.